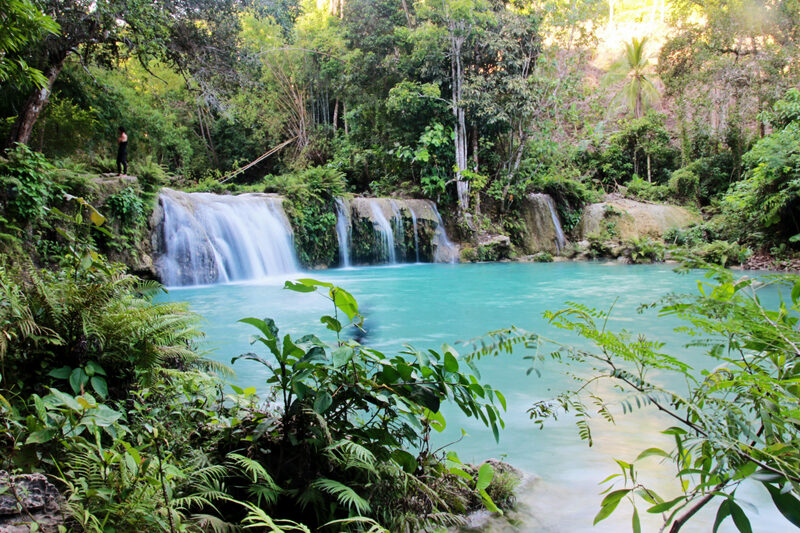 Cambugahay Falls is one of the attractions in Siquijor Island. 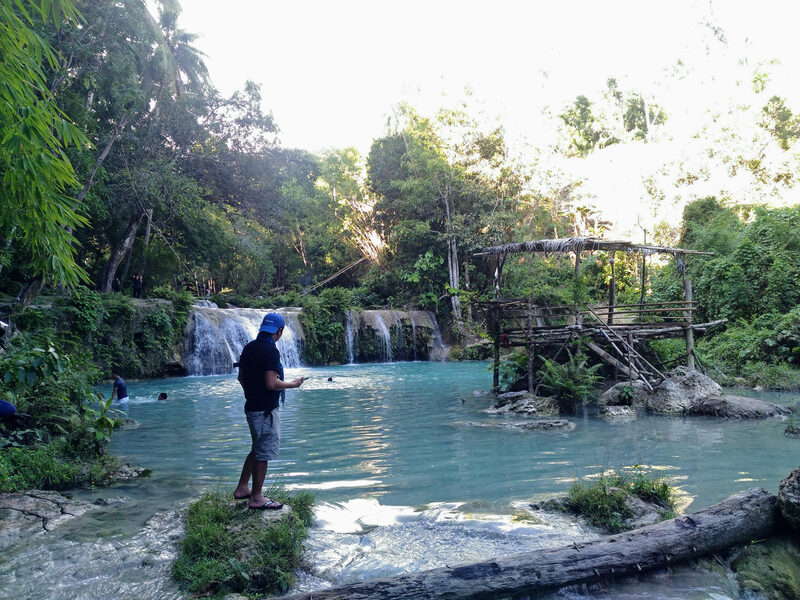 The falls is located approximately 2km north of the town of Lazi, along with the Siquijor Circumferential Road. Cambugahay Falls is like an enchanted waterfall due to its features. It consists of a multi-tiered waterfall with clean waters coming from natural springs and watersheds from the forest. These waters run-off and snake through about few kilometers downstream forming beautiful lagoons and rapids. Cambugahay Falls is one of the many precious waterfalls in the island with an enthralling scenery and serene atmosphere. 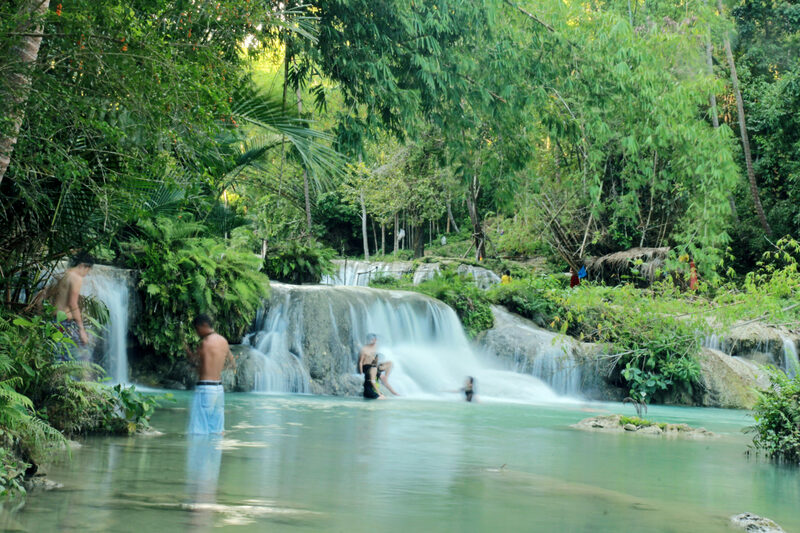 Tourists usually flock to this waterfall when visiting Siquijor due to its magnificent tiers and crisp and clean waters. Even the locals still enjoy spending their time in this mystical attraction. 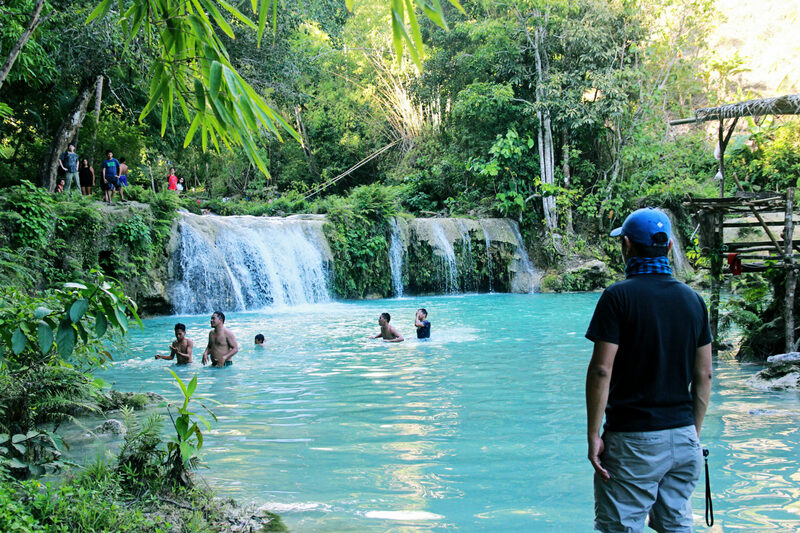 Among other destinations in Siquijor, Cambugahay Falls is one of my favorites. After we arrived at the place and went down via the 135 steps stairway, we gasped in astonishment at how magnificent the waterfall is. The first tier that you could see has the Rope for Tarzan Swing wherein you can try it for free. This tier is where most tourists go swimming and will become a bit crowded on weekends. Cambugahay Falls does not have a significant and spectacular drop compared to other falls that I’ve been to but it is wide enough which gives a different charm like a spell cast on you from a lovely witch and immediately get hooked with it. The water from the waterfall is powder blue and magical. It was rustling over the rocks joyfully, spilling over the ledge down into the pool like a gigantic waterspout. Despite the waters are not that crystal clear but nevertheless it is very soothing. The second tier of Cambugahay Falls is a bit small, but still, the waters still flow smoothly as syrup into the pool and foamed at the bottom. The topmost tier of Cambugahay Falls is also magnificent. We gasped in astonishment at the clarity of the Atlantis-blue waterfall. The waters are spurting over the basalt rock. There is a whizzing vortex at the bottom where run-off water tingled the rocks as it seeped away. Also, there appeared to be a cave under the arch of waterfalls. The water is so enticing to have a quick dip, but we’re not going to stay a bit longer so I opted to take pictures most of the time. It is hard to resist also not to take notice on the enchanted grandeur by the bank as the scene was picture perfect. How about you? Would you take a quick dip on these waterfalls? Or just indulge yourself with the scenic view and take photos instead? 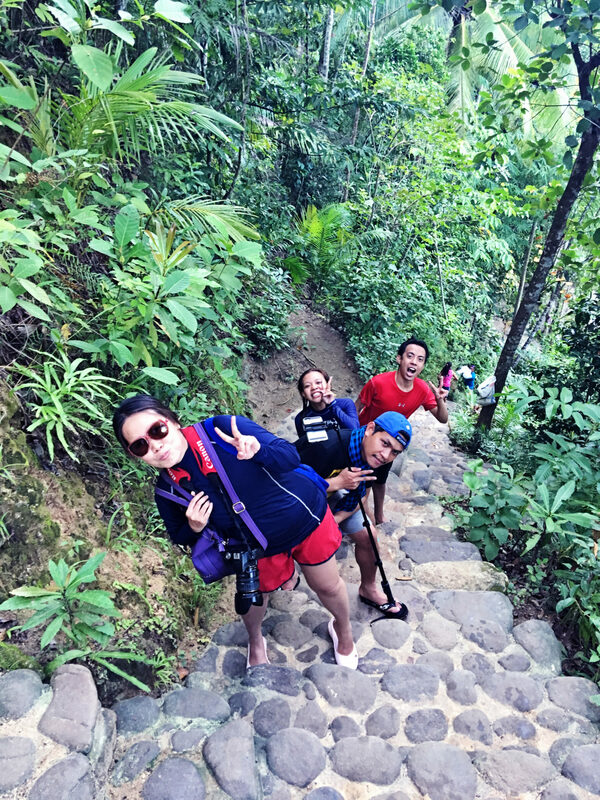 Let’s talk about your Cambugahay Falls experience by leaving a comment below. How to get to Cambugahay Falls? The Cambugahay Falls is in Siquijor Circumferential Rd, Lazi, Siquijor. There is a sign along the road leading to the falls. The falls can be reached via the 135 steps going down from the main road. Going around Siquijor can be quite expensive per trip. If you don’t know the place or don’t have your own vehicle with you, I highly recommend that you will get an island coastal tour package when visiting Siquijor as the spots are far from each other. The standard rate for the chartered tricycle, for example, is P1,000/day but it can go up to P1,500 depending on your itinerary and your haggling skills. The tricycle driver will bring you to destinations of your choice. Most common destinations are Cambugahay Falls, Kagusuan Beach, Century Old Balete Tree, Salagdoong Beach, Lazi Church and Convent, Larena Watch Tower, View Deck, Capilay Spring Park, Guiwanon Spring Park, etc. adto na… nahan sad gani ko mobalik, unya mag mountain tour nasad.. Very nice! It looks magical indeed! We’ve never been to Siquijor…might as well put this in our must-go-to list. Photos first, then dip. Then breathe. Haha kay para dry while taking photos, lol!! Then look for the lovely witch and interview her, haha! Looks like the water is sooo cold so I think I’d last for 10 mins max. Cambugahay Falls, pinaka-nindut na falls Siquijor and mupadulong sa KAwasan falls sa Cebu na dghan tawo mangadto. I tried the tarzan swing and it was fun! 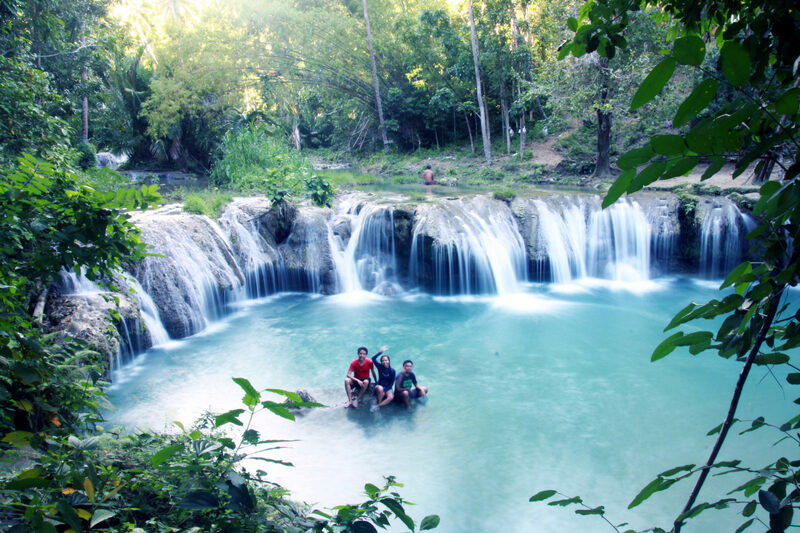 This is really the highlight of Siquijor and the most known waterfalls. Every traveler should not miss to drop by here when they visit Siquijor. Im like how you captured the waterfalls, very enticing to look at and very stunning. I’ll surely go back here again next time. The challenge between taking photos and enjoying the experience is not a problem if you dream is to share your experience. Char. Bitaw, lingaw inyong experience. Makasuya.